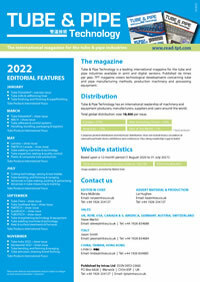 Tube & Pipe Technology (TPT) is the international magazine for the tube and pipe industries. Published six times per year, TPT magazine covers technological developments concerning tube and pipe manufacturing methods, production machinery and processing equipment. In every issue we report on specialist areas of tube and pipe manufacturing for applications such as aerospace, automotive, civil, energy, OCTG, structural and mechanical and many others. 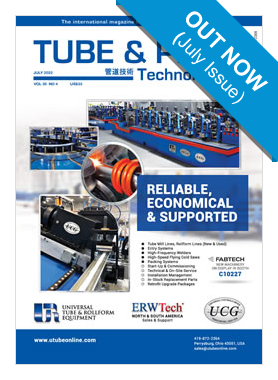 Each edition features in-depth technical papers concerning tube production, information on emerging business market sectors, corporate news, worldwide trade show reports and machinery for sale. TPT also features a Chinese language news section in every issue. TPT magazine is present at all the leading international industry trade fairs (see our shows page for more details) and makes essential reading for tube and pipe technologists. 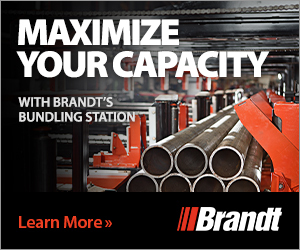 Want to reach the people that matter in the Tube & Pipe Technology industry?